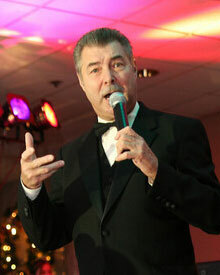 Disc Jockey “Rockin’ Ronnie”, (Ron Oleksiak) is a lifelong Metro-Detroiter. His love of music came from his Mother, who was an accomplished violinist, and taught Ron to appreciate all types of music. Ron began his disc jockey career at the age of 13 when he would host sock hops in his garage for his neighborhood friends by playing 45 rpm rock and roll records. On many Saturdays you would find him at Hitsville USA on West Grand Boulevard in Detroit, hoping to get a glance and autograph of the popular Motown Recording Artists. He spent 4 years in the Marine Corps where he enjoyed being the host disc jockey at almost every base he was stationed. He spent 35 years as an Insurance Agent but during that time managed to continue to spin the tunes. He had a long standing All Request Show on a local radio station and continues to travel around the State of Michigan, playing the 50’s & 60’s Solid Gold Oldies. He coined the phrase “Oldies Rock & Roll Will Live Forever”. He has had the opportunity to MC some of the local PBS sponsored Doo-Wop shows and he is sought after to MC many local live entertainment venues. He is the current entertainment chairperson for Marshall Michigan’s “Cruise to the Fountain” 4th of July Show and has DJ’d at every Woodward Dream Cruise Show. He is very involved in charitable organizations and donates much of his time helping children by being involved with the Shriner Hospitals for Children in the United States. Music is a means of communication. It is a universal language that we all can understand.